A "fight to the death" over increases to the old-age pension in the next budget has been declared on the day that the latest €5 hike kicks in. Fine Gael and Fianna Fáil are set for a major clash over Government plans to link future increases with the rate of inflation. The move would be likely to result in hikes being significantly less than the €5 extra which has become standard under this Government. Social Protection Minister Regina Doherty wants to introduce a rate of payment that is explicitly associated to changes in consumer prices and average wages. However, she said it cannot be done "in isolation" and is seeking cross-party support which will not be forthcoming from Fianna Fáil. 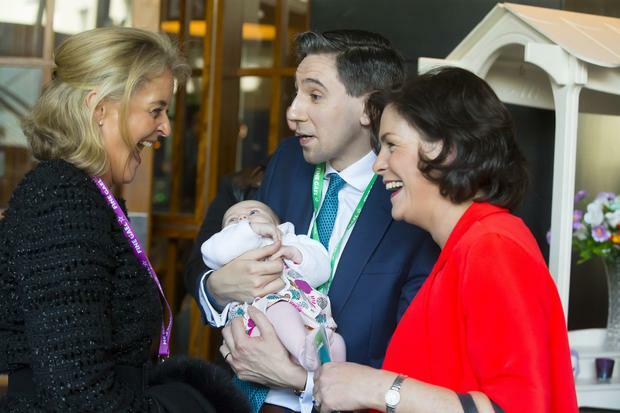 At Fine Gael's National Conference over the weekend, she said: "Some of the noises I'm hearing aren't very positive." Fianna Fáil's social protection spokesman Willie O'Dea told the Irish Independent he would "fight to the death" to prevent the move towards indexation. "A lot of people on pensions in this country from the Department of Social Protection are at or below the poverty line. If you just index pensions for inflation, you'll lock them into poverty," he said. Finance Minister Paschal Donohoe has begun work on Budget 2020, but needs support from Fianna Fáil to get it through the Dáil under the Confidence and Supply arrangement. A row over pension increases will immediately heighten the expectation of a general election this year. In the 12 months to the end of February, the Consumer Price Index rose just 0.6pc. An increase to the €243 contributory pension of that amount would be around €1.50. But Mr O'Dea argues this is not reflective of the increases in ordinary household costs. "The headline inflation figures don't factor in the type of things people on basic incomes buy. The national figures include yachts and Ferraris," he said. "A number of studies have been done, showing if inflation here is at 1pc-2pc, it is up to 4pc-5pc for people who are living week to week. This is a typical Fine Gael move to keep the poor in place." However, the Limerick TD said he was "not wedded" to the current system, which sees social welfare payments decided politically. A €5 increase in social welfare payments announced by Mr Donohoe in last October's Budget kicks in today. In his speech to Fine Gael delegates on Saturday night, Taoiseach Leo Varadkar said that over the past three years, the pension had increased by more than €850 per year. "We recognise and value the contribution pensioners have [made] and continue to make to this country," he said. Mr O'Dea said he would be open to reforms if Ms Doherty was willing to look at a system where the "starting point" ensures everybody on the old-age pension is above the poverty line. Anything else will be objected to "tooth and nail". Ms Doherty believes she has the backing of non-governmental organisations (NGOs) for the move towards indexation and intends to carry out consultation work over the coming months. "It's very much my ambition to introduce it. I've a conference in July with all of the NGOs but it very much depends on the support of all of the other political parties," she said. The minister wants to work with other bodies to determine what kind of algorithm will be used to calculate annual increases, or possible decreases when the economy is receding. Mr Donohoe has already begun work on Budget 2020 as he must bring a stability programme update to Government shortly. It will lay out how his department thinks the economy is going to perform next year. "I believe I'm going to be presenting Budget 2020 to the House in October and I think there's every chance we'll get it passed," he said. A reduction in prescription charges from €2 to €1.50 for all medical card holders over the age of 70. However, tensions between Fine Gael and Fianna Fáil are running high after Mr Varadkar used his televised conference speech to attack the Opposition for lacking policy ideas. "Fianna Fáil is a party with no ideas, no policies, no alternatives," he said, adding that "conspiracy theories don't constitute analysis, and finger wagging isn't a solution". In response, Fianna Fáil's finance spokesman Michael McGrath said the comments "went down very badly" within his party. He said the performance "lacked class".